When we were kids, we probably received many electrical shocks due to our negligence. During those days, I used to wonder: “Why do we get shocked ?”. As our body tissues are conducting, they provide passage to electrons/charges through our body. “Electric Shock” is defined as the flow of electricity through body or part of body to ground or earth. Now many times, I used to get confused what really decides the severity of shock. There are two most important things in the world of electricity: one is VOLTAGE and another is CURRENT. So which parameter really decides the level of electrical shock ? Many articles tell that the voltage is the deciding factor. Many others tell that current is the determining factor. What I would like to say is that, as per definition, damage is caused by the current (measured in Amperes) which flows through the body. Now think of your body as a simple resistor (R) whose one end is connected to ground. The other end is connected to a variable voltage (V). As per ohm’s law, the current flowing through the resistor is . So we see that, the resistance of the body and voltage decides the amount of current which will flow. Now one may argue that, if current is the main cause and resistance is a known for a human body, then why voltage can be the determining factor for damage ? To answer that, I would like to point your attention towards the resistance term R, I have mentioned earlier. This resistance is not always fixed. This resistance is determined by the path of circuit completion, skin condition (wet/dry), ground (wet/dry) etc. If the circuit is completed by a very short portion of your body then R is small and even a small V can cause enough current to flow through that part and it may cause severe and permanent damage. Similarly, if ground condition is wet, this also lowers the resistance. So. the usual convention that small voltage cannot harm is not true. A small voltage can cause as much harm as a large voltage will do ! Slight shock felt. Not painful but disturbing. Freezing or “Let-go” current. Individual has the possibility to be thrown away from the live circuit. Extreme pain. Respiratory arrest, severe muscular contractions. Death is possible. Rhythmic pumping action of heart ceases. Death likely. Cardiac arrest, severe burns and death probable. Going further, there are two types of current AC (alternating current) and DC (direct current). AC as understood from its name, varies its magnitude with time and repeats its cycle periodically e.g. 230 V, 50 Hz. On the other hand, DC is constant and does not change with time. Both have almost similar effects on body in case of shock. The only difference is that when DC current flows through the body, it causes single muscle contraction as the polarity of the current does not change, unlike AC which changes polarity many times causing random muscle contraction and relaxation. There is a common notion that AC current repels the body in case of shock whereas DC current attracts, causing the body to get stuck. This is not completely true based on my understanding. The attraction or repulsion of the body results from muscular stimulation. As explained earlier, DC causes muscle contraction, but AC may or may not produce repulsion. ! The current of 9 – 30 mA mentioned in above table known as “let-go” current is named because beyond this level it is not possible to remove the body from live conductor. So only if you are lucky and the amount of current is not much, you will be thrown away when subjected to AC shock ! THOMAS EDISON did an infamous experiment: “ Electrocuting an Elephant” to prove DC is superior than AC in terms of safety. Yes, this is true that to have same electrical shock effect, amount of DC required is more than AC. For example, a 2 mA AC current will cause same effect as a 4mA DC will do to the body. The AC (50/ 60 Hz) cause uncontrolled/ unsynchronized muscle contraction and relaxation of heart (heart beats). Still, it always depends on the path of the current flow through the body, DC current can also cause abnormal heart beats if the current passes through heart. Both AC and DC are equally dangerous and everyone should be cautious of both! In our household to prevent electrical shock, protective equipments like Circuit breakers, Fuse and earthing grounds are provided. But you should not rely on these things because any device can malfunction any time. A safe step is to get into a habit of some very basic Do’s and Don’ts. Wear insulated shoes or use insulated platform. Do not touch electrical equipments with wet hands or standing on wet ground. On a periodic basis have a check on earthing point of your house. Add some salt water to the point to increase the conductivity of soil. Do not try things out there. Call an expert to rectify the problem. Do not overlook small sparks or any problems. Save yourself first and then help others during emergency. Do not directly touch any person or object which is path of current flow. 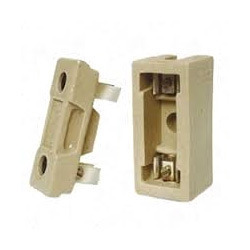 To detach either cut off power supply or use insulted items like wood. Comments on this article are welcome and I will be happy to discuss. I will keep sharing small concepts which bridge the electricity and our life !